An experienced financial management and sales compensation professional, Diane Kaern has served large organizations such as Hewlett-Packard and Siemens. In her spare time, Diane Kaern pursues several hobbies, including alpine, or downhill, skiing. 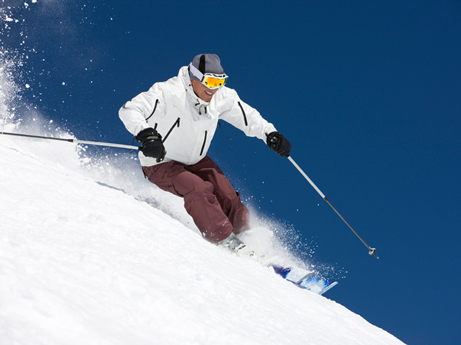 Although staying in shape for skiing during the off-season can prove challenging, there are many exercise routines on which skiers can rely to keep the muscles used for skiing active during the summer, ensuring a quick and an easy return to form when ski season recommences. A great off-season activity, biking can be relied upon not only to build the strong legs and abdominal muscles that skiing requires, but also the endurance demanded by long days on the slopes. Engaging most of the body’s muscles, swimming can also preserve, if not improve, endurance. Performing simple strength exercises can help with conditioning as well. To replicate the effect of standing upright in ski boots, try a wall sit: stand with your back against a wall and slowly lower yourself until your knees are bent at a 45-degree angle. Work up to staying in this position for a minute at a time.